Christmas in July, to be exact! And we have a week full of great classes to get you in the spirit! A wonderful pillow for the entire winter! Learn machine appliqué, and how to make and apply cording. Not too late to sign up! Quilt as you Go! Get this little charmer pieced and quilted all at once! 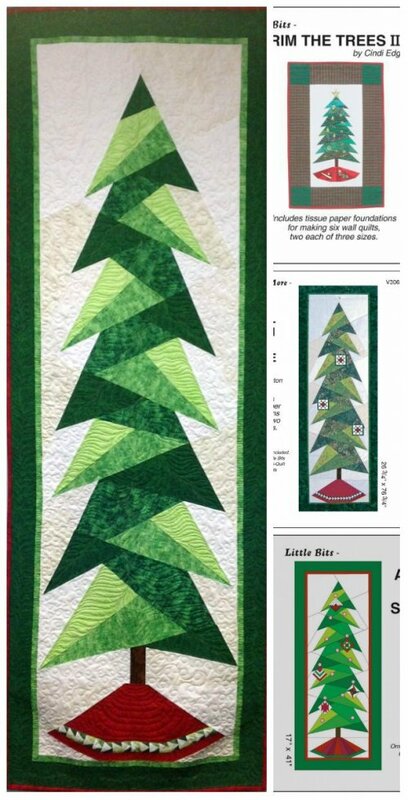 Learn this great technique using Wash-Away Applique sheets! 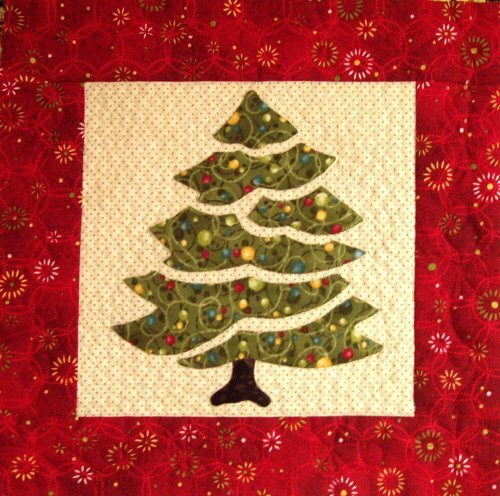 Mimic the look of hand-applique with out the hand work. And learn a little trapunto too! 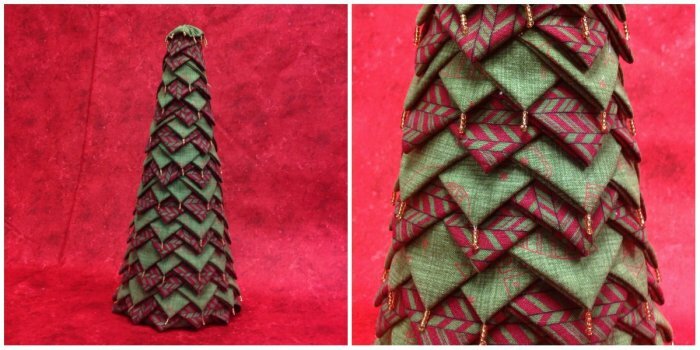 This unique table top Batik Tree is easily finished in a day. Strip friendly! 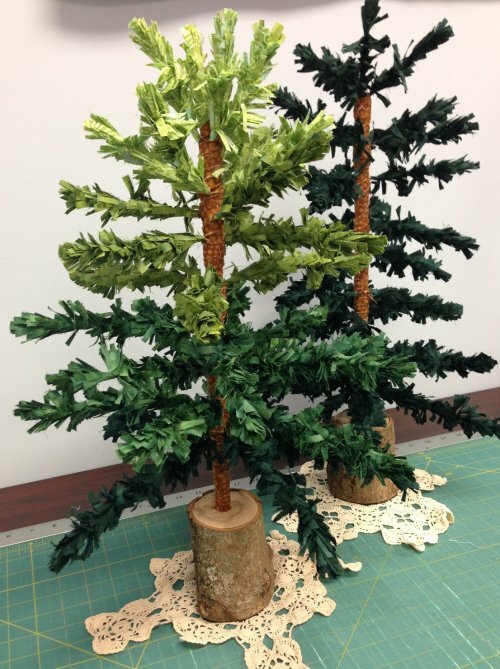 Make your tree all one color or use several different colors to create a one of a kind conversation piece! 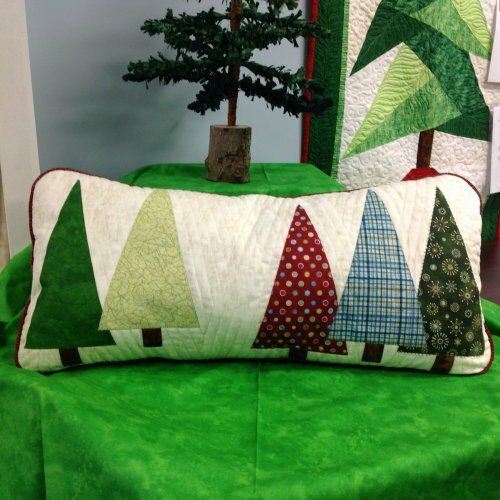 This ‘no sew’ project is simple and makes a great showcase for Christmas fabric. And, those prairie points can be re-purposed for a different project next year! 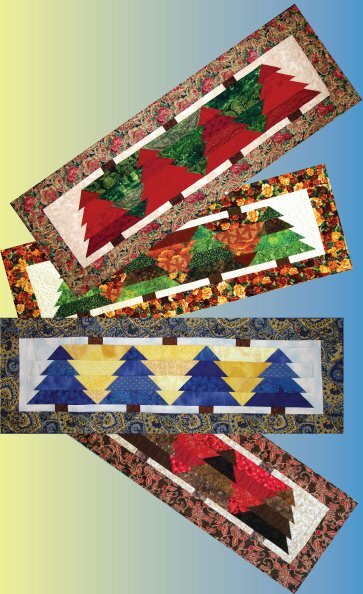 Paper piecing makes all the angles come together so easily! And all the great colors make the tree just sparkle! Come in and have some merry holiday fun with us!